The nearly $10.5 billion budget includes about $300 million for teacher pay raises this year. It will also partially restore education cuts made after the recession. But, it does not meet all demands made by teachers who went on strike one week ago. They wanted more than $1 billion in education cuts fully restored, plus smaller class sizes and raises for support staff. Lindsey Hillyard, a teacher at Puente De Hózhó in Flagstaff, says she’s not satisfied. Governor Doug Ducey signed the education and budget bills this morning, calling them a win for public education. 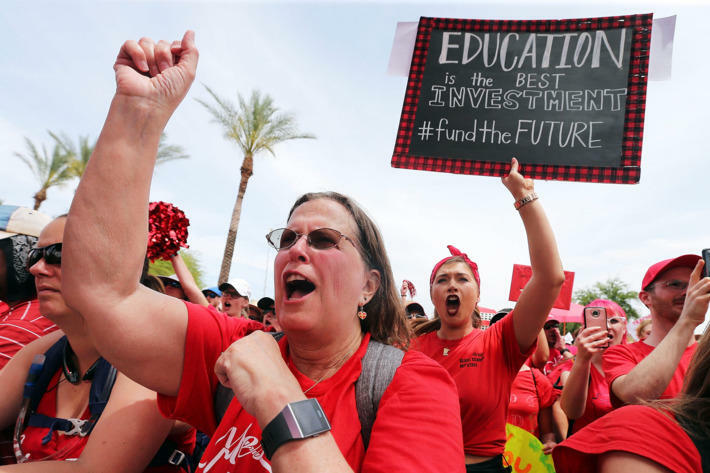 Organizers of the #RedForEd Movement say their fight for more school funding will continue, even as teachers return to their classrooms. 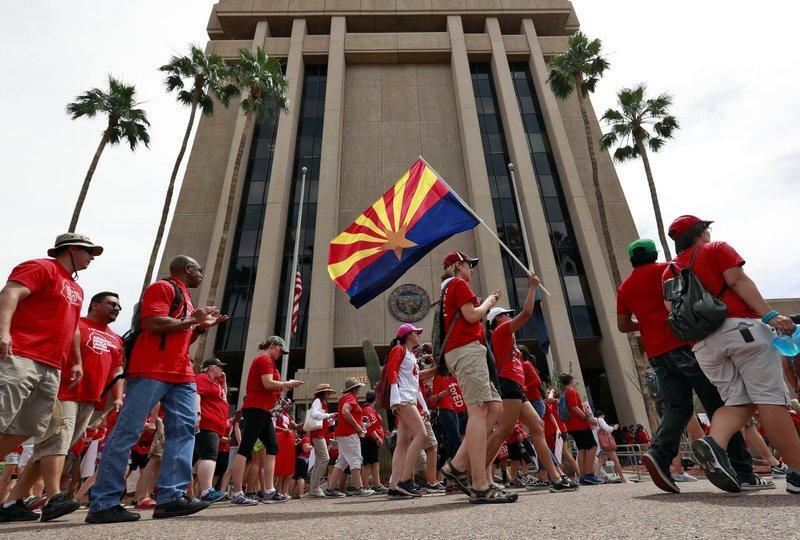 It’s expected they’ll be back tomorrow, ending the state’s first-ever teacher walkout. 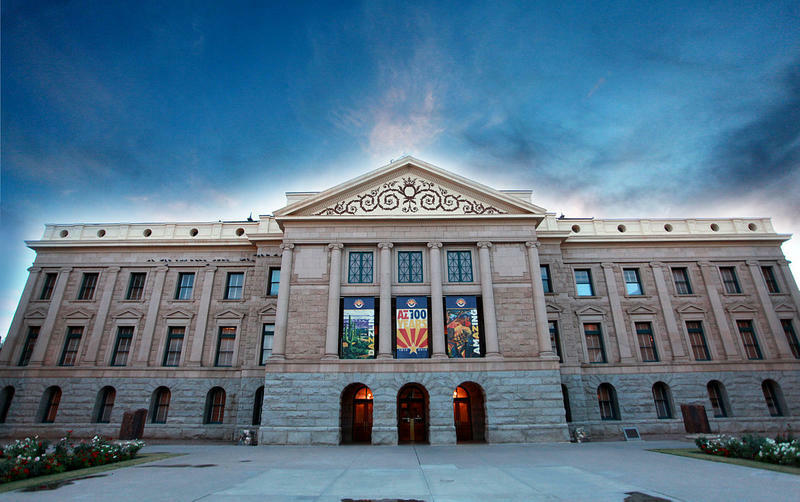 Some members of the Arizona business community are criticizing a proposed ballot initiative that would tax high-income residents to increase teacher pay and school funding. 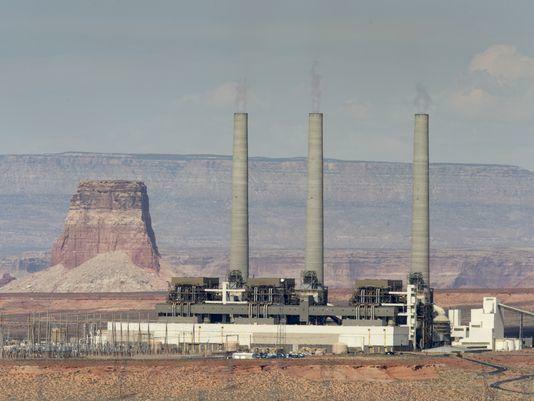 KNAU’s Justin Regan reports.